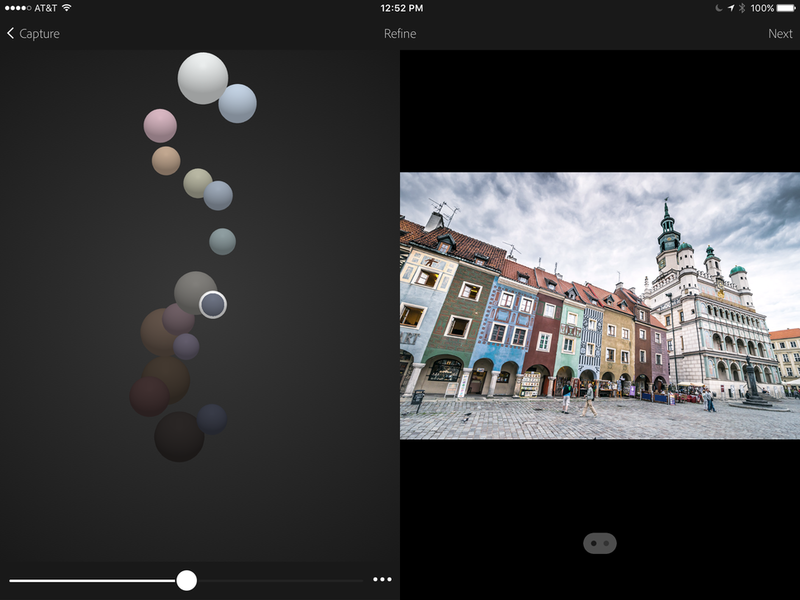 More than two years ago, Adobe expanded its online color theme service Kuler (from the Mauritian creole word for “color”) into an iPhone camera app capable of capturing every hue of the rainbow and converting them into digital palettes that can be applied to projects created with the company’s industry-leading desktop applications. As the scope of Creative Cloud expanded, mobile devices soon joined in the fun, so Adobe rebranded to the more straightforward Color CC name, adding a triple threat of additional capture apps—Brush CC, Shape CC, and Hue CC—with similar functionality. While each is a fantastic creative tool by itself, taking up four spaces on the home screen became a bit redundant. (I chose to stick them all in one folder, but that still wasn’t enough to appease my OCD.) I’m happy to say Adobe has now come to its senses with the arrival of an all-new app that performs multiple tasks from a single icon. Adobe Capture CC makes it easy to create color themes that can be used across the entire Creative Cloud lineup. Adobe Capture CC unifies four disparate apps into one, retaining all of the previous functionality offered by each. Like other Adobe mobile apps, signing in with a free or paid Creative Cloud membership is required, and necessary for syncing captured data with other desktop and mobile software. Capturing a color theme is as easy as point and shoot from any iOS device. The four modes—Colors, Shapes, Brushes, and Looks—are displayed as tabs across the top of the screen for hopping between them with just a tap, while a menu above can be used to switch between different libraries for organizing assets. One addition I’d love to see is a 3D Touch shortcut for diving directly into any one of the four modes from the home screen. 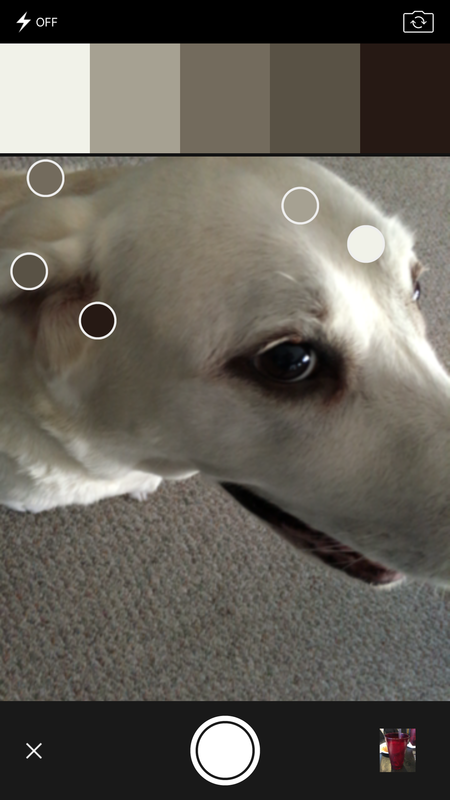 Colors and Looks operate in much the same way, using on-screen dots and bubbles to extract color information from the camera sensor. Once captured, themes and filters can be refined prior before saving, or tweaked at any time using the Edit button. By default, Capture CC saves the source image to the device, but this can be turned off under iOS Settings, rather than inside the app itself. Shapes use the device camera to capture sketches, artwork, or entire photographs, turning them into vector graphics like those created natively with Illustrator CC. Brushes does the same for graphics, instead creating ribbon, scatter, or vector-style brushes used for sketching or painting. Both offer control over the final results, although Shapes lacks the more comprehensive editing features of the latter. 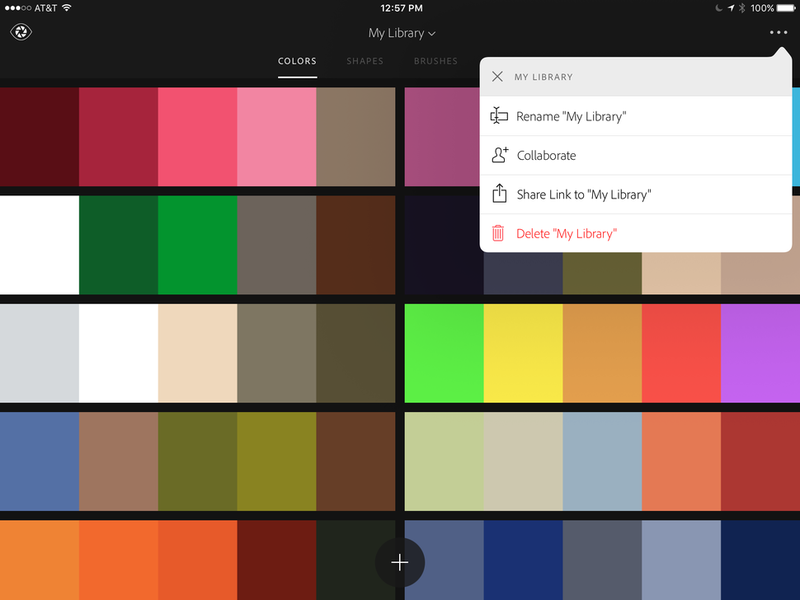 Whether it’s a color theme, shape, brush, or look, Adobe Capture CC can make changes to design assets on the fly. While similar in concept, assets created with Capture CC aren’t available in every Creative Cloud application. Colors and Shapes offer the most flexibility, and can be used with After Effects CC, Illustrator CC, InDesign CC, Photoshop CC, or Premiere Pro CC on the desktop, as well as Comp CC, Illustrator Draw, and Photoshop Sketch on mobile devices. By comparison, Brushes and Looks are restricted to only where they make sense: Illustrator CC, Photoshop CC, and Photoshop Sketch for Brushes, or After Effects CC, Premiere Clip, and Premiere Pro CC for video-specific Looks. That last mode doesn’t offer much for traditional designers, but as someone who frequently hops between image editing, design layout, and video projects, I appreciate the convenience of having them all in one place. 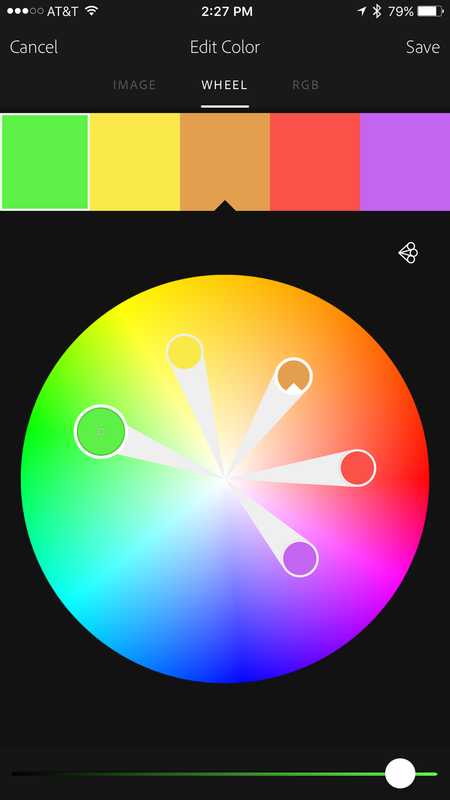 Having used the individual apps since the Kuler days, I did find that color themes created with the original version weren’t being properly synced to the new app. After a bit of trial and error, I discovered signing into color.adobe.com from a web browser offered to merge older swatches into an existing library, where they now happily reside alongside more recent themes. There’s also a bug when using third-party keyboards like SwiftKey while attempting to rename assets on the landscape-only iPad version, which causes the text field to be mostly obscured; switching back to the stock keyboard works in a pinch. Thumbnails for Adobe Shape CC assets also initially displayed as black rectangles, despite working correctly; this issue eventually cleared up on my iPhone 6s Plus, but not on an iPad Air. Grab a look from anywhere, and Adobe Capture CC can turn it into a filter for Premiere Pro CC, Premiere Clip, or After Effects CC video creations. Adobe Capture CC is a welcome consolidation of four excellent mobile apps that make it easy to grab creative inspiration and design assets no matter where you happen to be at the time and sync them between all of your connected devices.